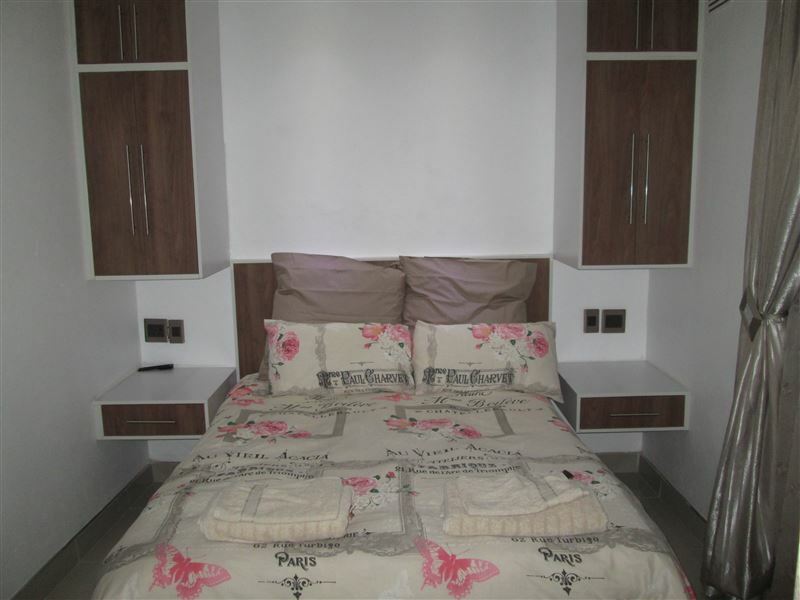 Double/ Twin rooms- Click image for details. 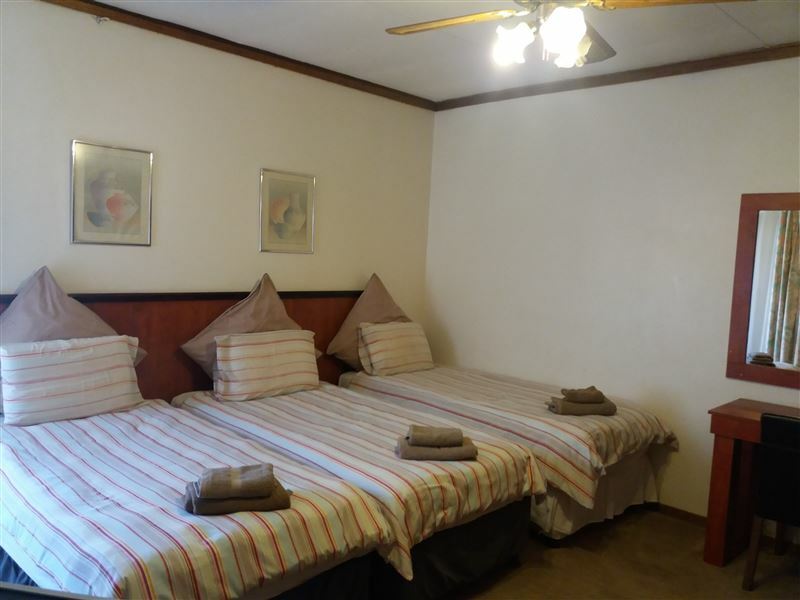 3-Sleeper and 4-sleeper rooms. Click image for details. 2-Sleeper rooms with double or single beds. Our rooms are neat, clean, and every room has it’s own bathroom. safe parking- perimeter fencing and guard on duty from 7pm to 6am. We provide towels and one extra blanket per bed. 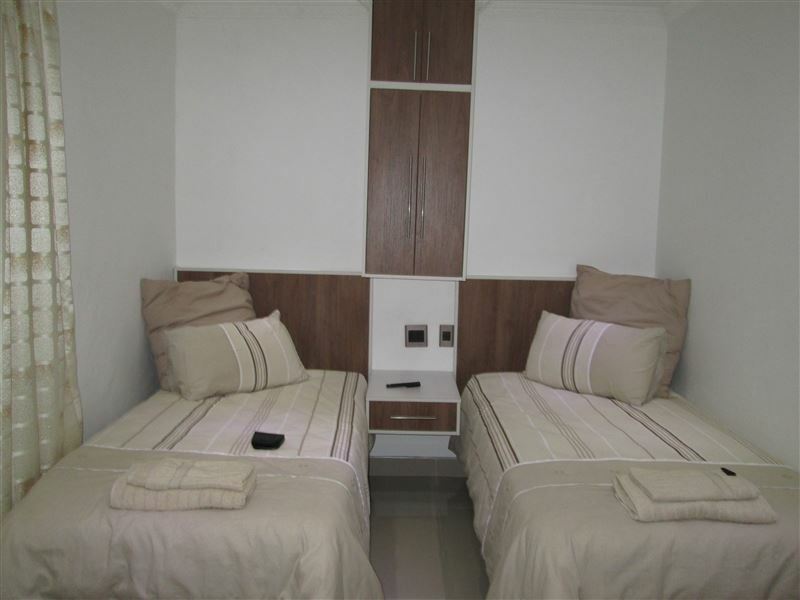 We also have larger 3-sleeper 4-sleeper & 5-sleeper rooms available. Breakfast is optional at R60 per person. Dinner is optional at between R50 and R85 per person. All guests are welcome to use our kitchen and dining area if you would like to prepare your own meals.